Novitec has given their touch to another Italian beauty, this time something a little more mainstream than usual. Novitec is one of the few tuners that is capable of making aesthetic changes to beautiful Italian exotics without making them look worse. 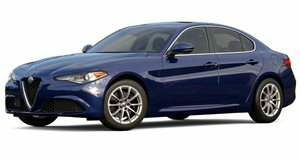 Their work with Ferraris and Maseratis has been impressive, but their decision to offer a package for the more mainstream Alfa Romeo Giulietta has yielded even more dramatic results. The tuning package offers an interesting, and more exclusive alternative to the also-impressive Giulietta Cloverleaf, tuned by Alfa themselves. Whichever engine you have in your Giulietta, Novitec offers an ECU reprogramming that can coax between 20 and 25 extra horsepower out of it. There is also a new exhaust system, to provide a more aggressive note. The front and rear fasciae have been altered, and the rear now includes a diffuser and cut-outs for the new exhaust system. There are new wheels available in 18, 19 or 20-inches, all of which look great. There are a couple of options for suspension, one of which lowers the car by 1.4 inches and the other, which is adjustable, can lower it between 1.4 and 3 inches.